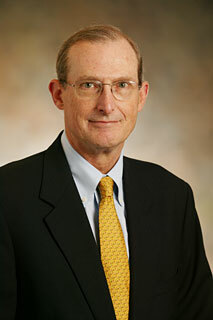 John R. Saunders, Jr., M.D. has served as chief of staff at Greater Baltimore Medical Center since October 2004 and serves as a member of the GBMC HealthCare Executive Team. A licensed physician in Maryland since 1982 and a specialist in head and neck cancer surgery, Dr. Saunders is also medical director of the Milton J. Dance, Jr. Head and Neck Rehabilitation center at GBMC. As Chief of Staff, Dr. Saunders’ responsibilities include serving as liaison between approximately 1,200 physicians with GBMC privileges and hospital administration, supervising medical committees, and overseeing credentialing, quality assurance, disciplinary action and strategic planning. Board certified in surgery from the American Board of Surgery and a fellow of the American College of Surgeons, Dr. Saunders is also is a past president of The Society of Head and Neck Surgeons and the Baltimore Academy of Surgery. A resident of Timonium, Maryland, Dr. Saunders has had a relationship with GBMC for 22 years, including several years as a private practitioner specializing in head and neck surgical oncology. A member of the hospital’s board of directors and several hospital committees, Dr. Saunders also holds an M.B.A. from Loyola College. Dr. Saunders holds academic appointments from The Johns Hopkins School of Medicine, the University of Maryland, and the Uniformed Services University of the Health Sciences. Following medical school at Georgetown University, Dr. Saunders served an internal medicine internship and surgical residency at Walter Reed Army Medical Center, followed by a three-year assignment in Germany. Dr. Saunders returned to Walter Reed for a head and neck fellowship. Dr. Saunders served with the U.S. Army Medical Corps on active duty from 1971 to 1982, and on reserve duty from 1982 to 1994. Dr. Saunders served as chief, general surgery service at the U.S. Army Hospital in Augsburg, Germany from 1976 to 1979; as staff surgeon, general surgery service at Walter Reed Army Medical Center from 1980-1981 and as assistant chief, general surgery service at Walter Reed Army Medical Center from 1981 to 1982. He retired from the United States Army Reserve with the rank of colonel and is the recipient of numerous military awards and commendations.